inscription: Cotton pickers & owners Calif 1938 "A back" (Also Cotton Contest) On Cotton Commercial production of cotton in Calif began in 1909. 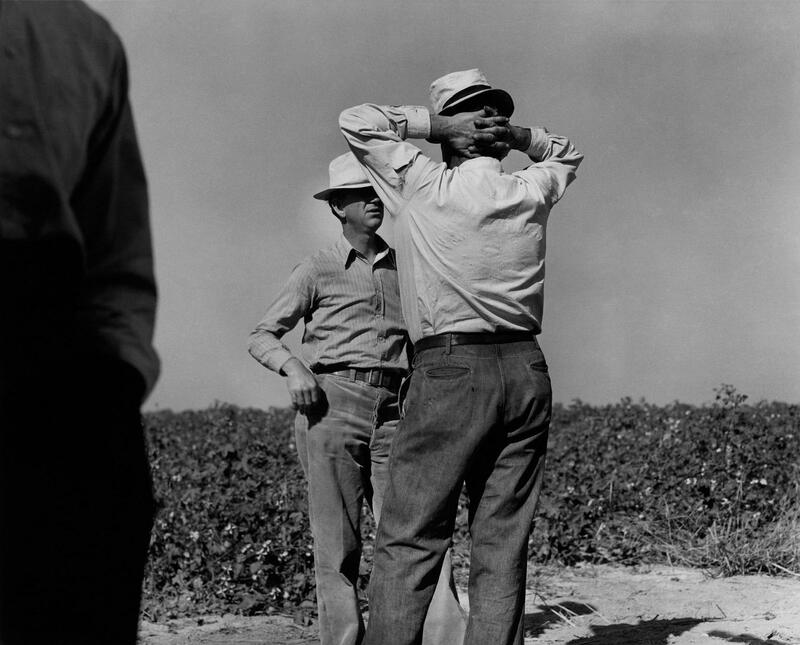 In 1936, Calif. produced 3.3% of U.S. Cotton crop. Bakersfield, Calif - Fall '37 Cotton is a crop that always brings evil with it -- the rawest, crudest exploitation, brutalizing anyone & evereyone involved in it.